WORLDPAC imports original equipment and automotive replacement parts directly from the most respected manufacturers in the industry. Our complete product offering includes over 120,000 products for over 40 import and domestic vehicle carlines. WORLDPAC imports parts directly from the most respected original equipment suppliers and manufacturers in the automotive industry. With over 7 million total vehicle applications, WORLDPAC's supplier community represents one of the most comprehensive product inventories in North America. 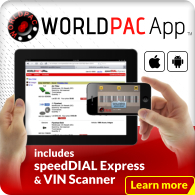 The WORLDPAC speedDIAL Parts Catalog and Fulfillment Ordering System is the most widely-used and advanced program in the industry. 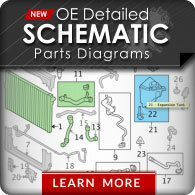 Check real-time parts availability 24x7 on over 110,000 parts, view images on over 85,000 parts, check prices, place orders, view invoices, self-service returns, and much more. Carline specific Technical Training, Business Management Solutions, and exclusive Smart Groups are all designed explicitly for the independent shop and taught by experienced professional instructors.